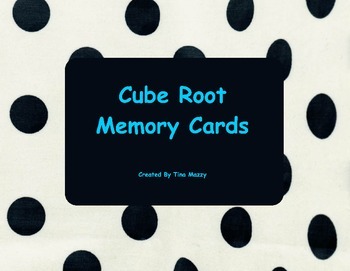 This is a game of cube root memory to help students memorize perfect cubes in a fun way. 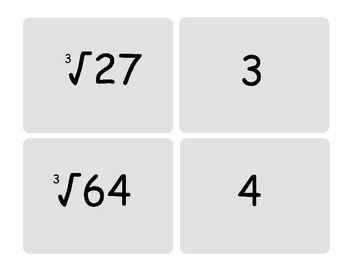 Includes cards 20 cards total, for the perfect cubes 1-1000 with solutions 1-10. 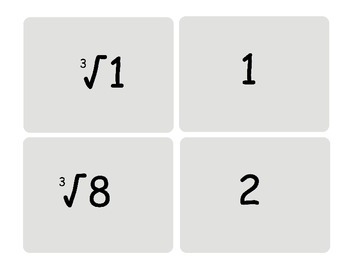 Just print them out, cut them out and your students will be ready to play!